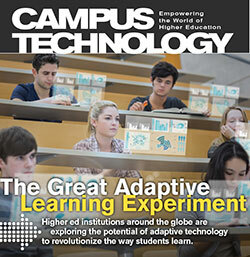 Higher ed institutions around the globe are exploring the potential of adaptive technology to revolutionize the way students learn. Georgetown University is reinventing itself with an initiative that explores the future of higher education. An online education specialist offers tried-and-tested strategies for molding better online instructors. Is it possible to implement new learning approaches in old — even antique — college spaces? Students at the University of Mary Washington build academic identities through their own Web domains. Analyzing failed technology projects can lead to a more efficient, successful IT operation.